I want to guess! Most of your employees, with the exception, perhaps, of accounting, each time wrinkle your nose when you once again ask them to prepare another weekly, monthly, quarterly plan or report. And it does not matter what these documents are about – sales, marketing effectiveness, financial results. In general, it does not matter what plans and reports it is)) Even in a situation where a company needs to develop a full-fledged working business plan for the next year, containing SMART goals and interrelated, coordinated schedules for all departments. Most middle managers successfully generate formal annotations, perceiving the planning process as a disgusting and meaningless routine, as an uncomfortable monitoring tool, as a method of disciplinary pressure, an attempt to free their creativity or the management's doubt about their focus on results. This is partly true, but only in part, and only because managers often do not have a full understanding of the fact that the plan of its division is for the top manager a necessary part of a simple, but necessary as a shovel, consolidated plan for the whole company, through which he tries to ensure a sane final financial result of the business. And if this consolidated plan consists of unconnected lists of different divisions that imply absolutely uncoordinated and often contradictory actions, the shovel of the top manager collapses with lightning speed and he spends 90% of his time coordinating the current actions of various functional units in the course of carrying out their disparate actions. 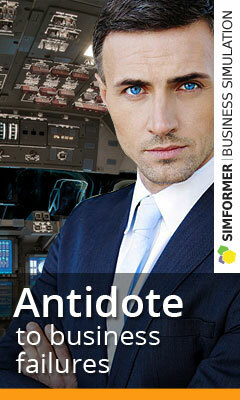 He understands how his actions should be linked to the activity of his colleagues, and makes conscious efforts. Observance of all three conditions is not such a simple task as it may seem at first glance. The task is complicated for one simple reason – insufficient managerial horizons of average management, lack of a comprehensive vision of the whole picture of the business, a sense of the role of the cog in the car. Middle managers simply never had the opportunity to be in the role of top manager, director of the company, founder of business. He thinks for the time being only with his functional, specialized categories. In this situation, by definition, there can be neither a full understanding of the actual importance of quality coordinated planning, nor an integrated business picture, nor a complete understanding of the relationship of processes in the organization. Without understanding, there can be no motivation. 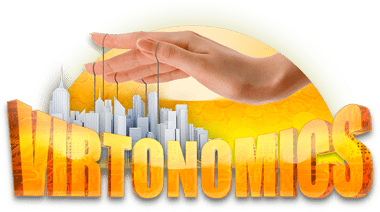 Oddly enough, Virtonomics solves most of the tasks described above to improve motivation, skills of quality planning and broadening the horizons of managerial horizons. invite them to write a business plan and manage a full, albeit virtual company. And they will have to, as a leader, not only expand their business horizons, but also learn how to use and operate various financial and analytical reports, learn how to plan activities not only within their functional field, but the whole company. But it will not be a routine and boring task, but an episode in an exciting gameplay. At the output you get not just performers, but effective Managers, on which it is much easier to lean.